Virginia Beach Hockey Club provides SELECT skate maintenance services at no charge to Club members in good standing. All of our skate maintenance services are offered FREE OF CHARGE to any active or retired member of the Naval Special Warfare community. Services and prices are listed below. All revenue is used to maintain and resupply our equipment (purchasing shapener stones, rivets, new/replacement mounting tools, etc.). We strive to consistently provide providing excellent service at low prices. 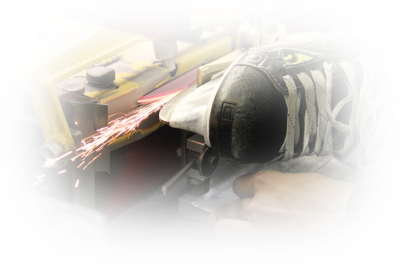 The Virginia Beach Hockey Club provides many skate maintenance services you would find in a full-service pro shop. We use Blackstone Sharpener, the #1 sharpener of the NHL. Skate sharpening is done on a first come first serve basis. If you have more than one pair, please allow at least 5-10 minutes for each pair. 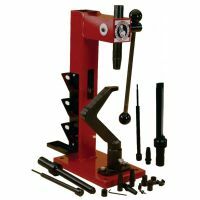 We also provide other services such as replacing steel and copper rivets, remounting or replacing holders, fixing eyelets, and taking care of ‘hot spots’ in skates with our boot punch. Click Here if you would like to make an appointment, or would like more information. We offer by-appointment skate sharpening services for VBHC Members, typically Monday and Friday mornings. Skate sharpening for members in good standing and Naval Special Warfare personnel is free. Have a loose or missing rivet? We can replace both steel and copper rivets and eyelets using our Blademaster Skate Riveter by appointment. Our repairs carry a lifetime warrantee. See the VBHC Price List for our rates. Crack a holder or are they just getting old or loose? We can replace or remount holders on any hockey skate by appointment. See the VBHC Price List for our rates. 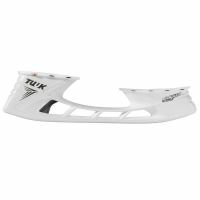 Have a new pair of heat moldable skates and need them fit? 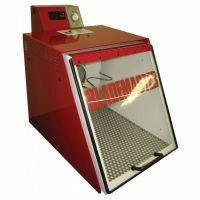 Our Blademaster Boot Warmer is available by appointment. See the VBHC Price List for our rates.